When Peter Rabbit appeared in the first of Beatrix Potter’s little tales, the mischievous blue-coated bunny was destined to become a star, going on to appear throughout the series. 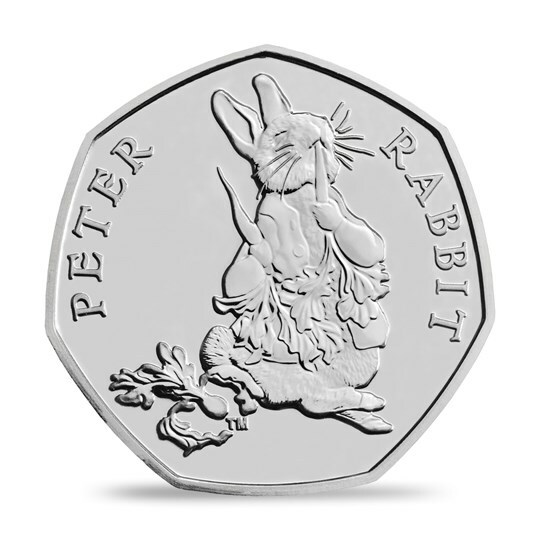 Ever since we began celebrating the life and work of Beatrix Potter in 2016, Peter has launched the coin range for each year, followed by other characters on their own coins. 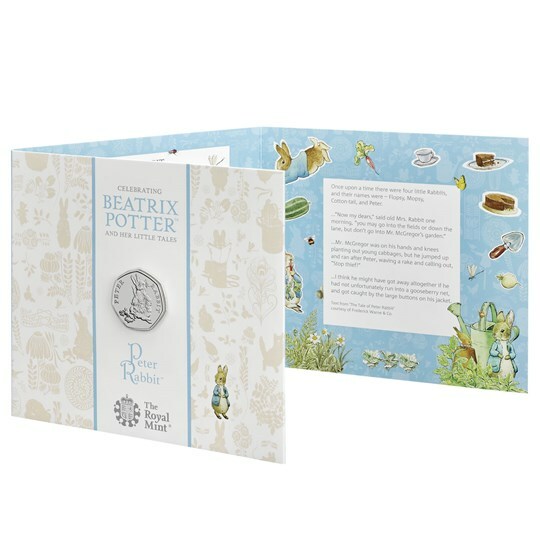 Now you can start your 2018 collection with the third official United Kingdom coin from The Royal Mint to feature Peter Rabbit. The Peter Rabbit coin for 2018 depicts Peter Rabbit just as Beatrix Potter painted him. Every detail, from his little blue coat to his long whiskers, has been captured on the coin’s small surface. It shows the iconic image of Peter Rabbit munching on radishes after another near-miss in Mr. McGregor’s garden. 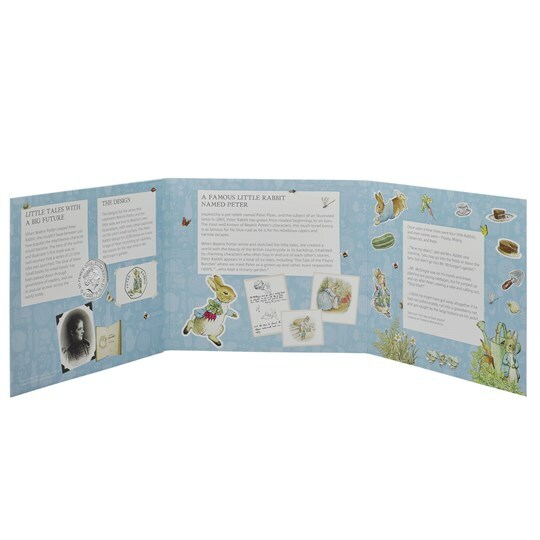 The coin comes in a fold-out case, inspired by Beatrix Potter’s own watercolour illustrations, including more details about the inspiration behind the popular character.